Shortly after the Civil War, large deposits of high grade coal were discovered on the plateau, so a railroad was built up the mountain side from Cowan all the way to Tracy City, TN. The curves were very tight and grades were very steep and it was another wonder of the age. So much so that it earned the nick-name the “Mountain Goat” and was treacherous to operate and maintain. It literally hung from the side of the mountain all the way up to Sewanee, 1200 feet higher in seven miles of track. The south end at Cowan had a large marshalling yard and passenger trains were an everyday occurrence. The scenic aspects on this line (called the Tracy City Branch when absorbed by the NC&StL) were magnificent as one climbed the escarpment of the Cumberland Rim. The most famous photographically is the stone arch bridge that carries the branch line over the face of the entrance to the mainline tunnel below it. This is the only place in the world that a branch line crosses the mainline in such a manner. As the railroad grew so did the town, with the coming of other industry such as Marquette Cement that availed itself of the coal and limestone formations in the area. There were other businesses such as Genesco. 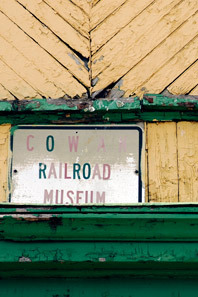 The railroad at one time had a peak employment of over 200 people stationed at Cowan. Now there are less than 20 working the Pusher Engines. As business comes, it also goes. The mines played out, Marquette closed up, the factory for Genesco quit, the RR pulled up the branch line tracks and no one came to take their place. Steam pushers were replaced by Diesels that required minimal maintenance. By the mid 1970’s Cowan was in trouble due to attrition. 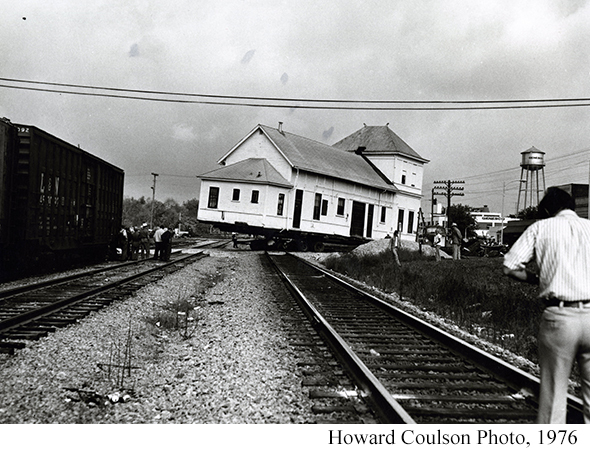 A far-sighted group of citizens formed the Cowan Beautification Committee and purchased the now nearly abandoned depot from the NC&StL’s successor, the L&N Railroad. The stipulation was that the depot had to be moved from its original location. 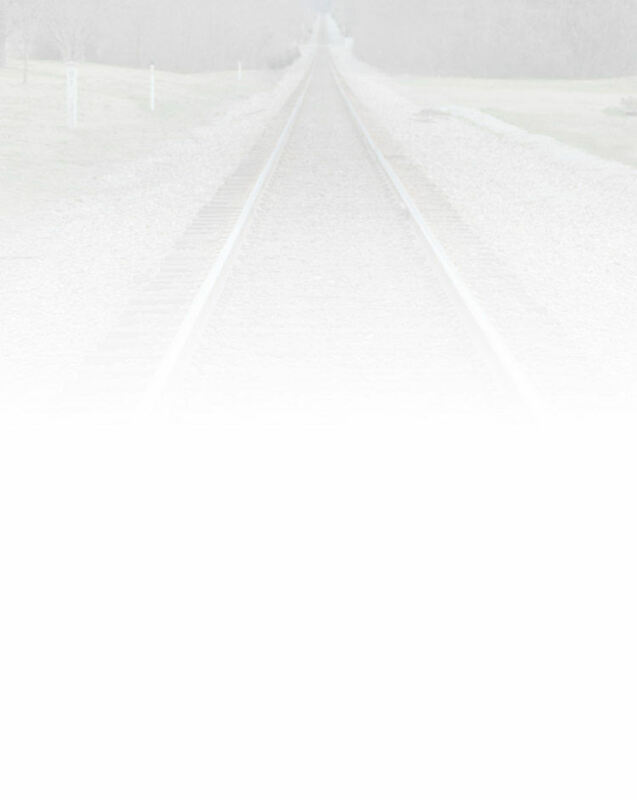 The Cowan Railroad Museum was born! In 1976 the price was right but the work was huge: a plot of land opposite the original was selected, and the station jacked up and moved across the tracks from its former location, intact. It was also rotated 180 degrees so the original track side would still be trackside. The Directors and officers of the new museum were determined people. Such is true of the former and present people in charge! Given a little time, the depot was repainted in the colors very close to the same as what the NC&StL originally painted it, a medium “hunter” Green, and a “goldenrod” yellow typical of almost all the road’s depots and frame buildings. Donations of artifacts poured in and were put on display, a suitably small yet serviceable steam locomotive was located and shipped in by gondola, a flat car donated by the L&N and a former NC&StL bay window caboose acquired. A storage/display track was installed and the pieces put on display. More and more displays and artifacts have been obtained and little by little the place took on a new-found charm. There were new displays everywhere and repairs to the building and rolling stock. Of course it is a continuing challenge, but growth is steady slower growth is stable, lasting growth. Almost forty years have passed and the Museum (and the city!) is on the verge of great things. Will you be a part of the history of Cowan?